Pushkar Camel Safari, Car Rental Services in Ajmer, Rajasthan, Taxi hire in Ajmer, car hire in Ajmer, car rental in Ajmer, cab hire in Ajmer. Day 02: New Delhi: After a leisurely breakfast move out for a daylong sightseeing of Old Delhi (Shahajahanabad) and New Delhi which includes Red Fort, Chandni Chowk, Jama Masjid, Lotus Temple, India Gate and the grand government buildings, the President's House, Mahatama Gandhi Memorial. 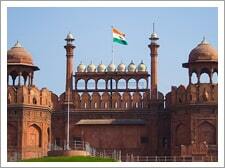 In the evening you will be transferred to train station of Delhi to board the train for Jaisalmer. 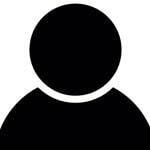 Over Night Train Journey!!! Day 03: Jaisalmer: In the morning on your arrival at Jaisalmer train station you will be received by our representative and transferred to your hotel. On arrival, check-in into your hotel room. Later move out for sightseeing of one of the oldest forts of Rajasthan "Golden Fort", Gadisar Lake followed by a walking tour to admire the excellent stone carving work on Havelies in the town. Visit the Patwon Ki Haveli ( Mansion) and Salim singh Ki Haveli, with their carved balconies and brackets which are supreme examples of the art. Overnight in your hotel. Day 04: Jaisalmer: In the morning start your adventure journey to Thar Desert. Take a camel ride to desert Place in a village outside Jaisalmer to spend your day in rustic desert atmosphere and enjoy dance and some cultural activities under the tinkling stars. Night Stay in Tented Accommodation. 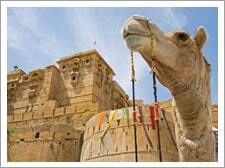 Day 05: Jaisalmer: Enjoy a dazzling experience of Camel Ride to nearby rural villages. Over night at your hotel. Night Stay in Tented Accommodation. Day 08: Pushkar: Morning after having breakfast drive to Pushkar holy city. On arrival check-in at your hotel. 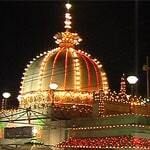 Later visit various temples and ghats and holy Pushkar Lake. There are more than 400 hundred temples in Pushkar but the main attraction being the temple of Lord Brahma, the only temple in India dedicated to Brahma. 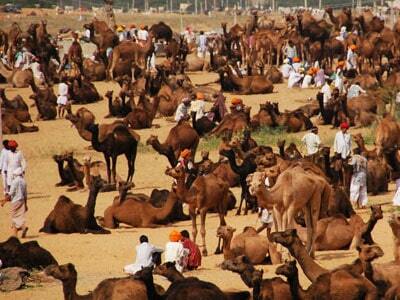 If it is the month of October/November then you are lucky to enjoy the world famous Camel fair of Pushkar. 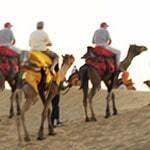 Rest of the time completely free to explore the Pushkar on your own. Over night in your hotel.